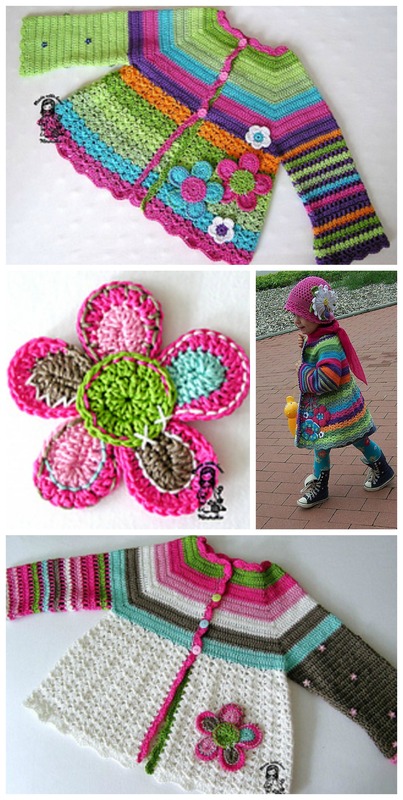 This pretty Girls Crochet Flower Cardigan will keep your little princess warm and look wonderful at the same time! It can be worn during all season, but best in the spring or summer. 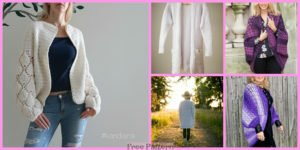 This stunningly beautiful cardigan will never go out of style.It would be a nice gift , too . 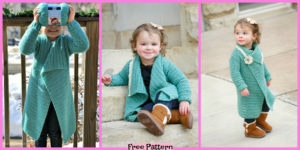 This cardigan sweater is described in detail in two sizes – for 3 and 5 years old child. 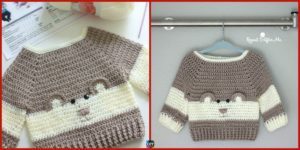 Even if you have no experience in crocheting sweaters in your life, I strongly believe that suddenly you’ll have a strong desire to do this one, because this free pattern is very simple to make and doesn’t take long either. You may also like: Rainbow Patch Socks Knitted Free Pattern.